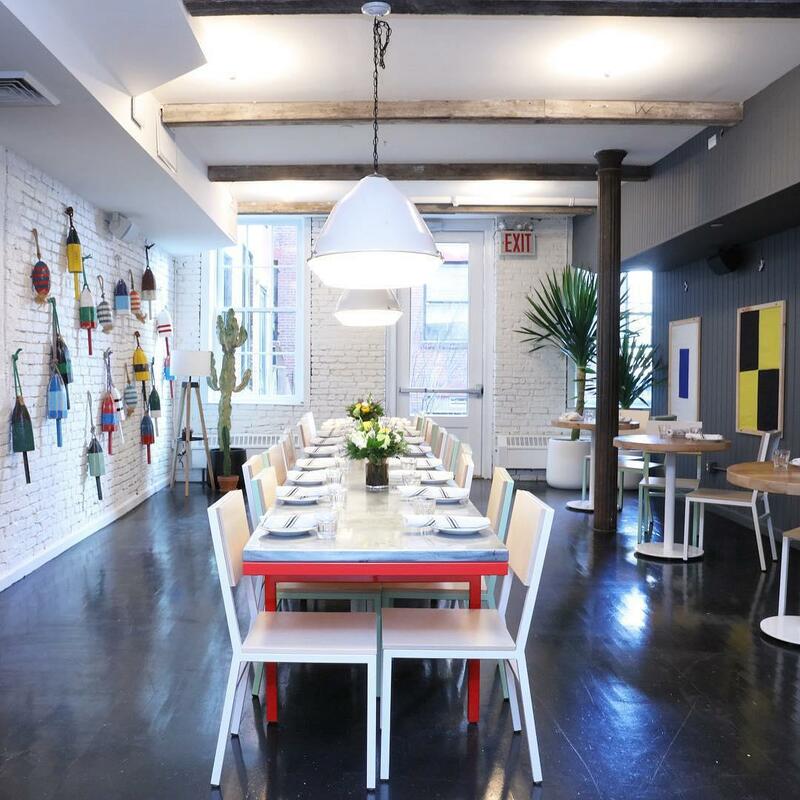 Having any sort of space to yourself is total rarity in NYC, let alone when it comes to your dining experiences. 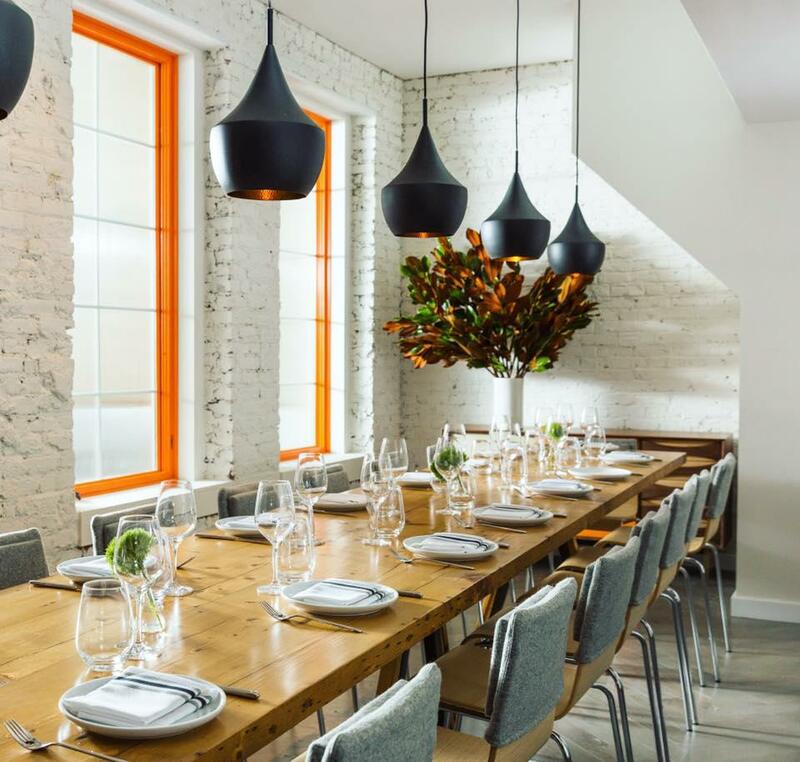 Rather than spending your next birthday bash, holiday party, anniversary party or corporate gathering bumping elbows with strangers, check out one of these 34 dining rooms, halls or tables and settle in with only your kinfolk within arm’s reach. From New York’s most acclaimed dining spots to hole-in-the-wall eateries you can take over with a crew, we’ve got a little something for every type of diner. The newest addition to celebrity restaurateur Danny Meyer’s collection of glamorous New York eateries, Manhatta sits perched on the top floor of a mid-century tower. 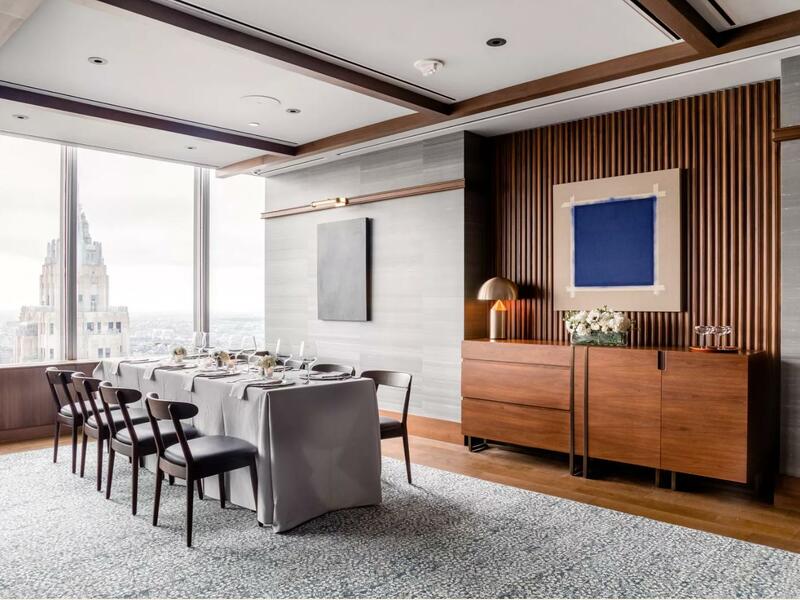 The private dining space here can seat up to 50 guests, who will undoubtedly be delighted not only with the stunning views of the cityscape but also with the seasonal, soulful, French inspired flavors of executive chef Jason Pfeifer. 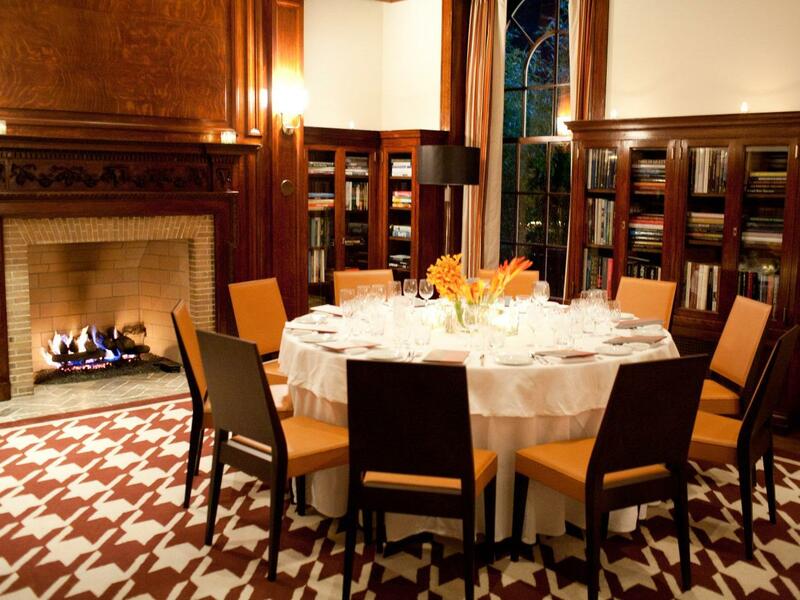 Over the course of a private dinner session at Loring Place, your guests will nosh on seasonal, market-driven plates and sip cocktails made with the finest small-batch spirits of the East Coast. Soak up the warm ambience and toast to a life well-lived with those folks you hold so, so dear at this Greenwich Village haunt. You can’t talk about New York’s best Italian eateries without making a jump across the bridge to Brooklyn. Head to Carroll Gardens with your party crew and soak up your meatballs and red sauce in a cool BK courtyard with bistro lights overhead. Word on the streets is that this spot is undergoing a bit of a growth spurt this fall, so you’ll want to reach out and get the full scoop on the latest private dining options. 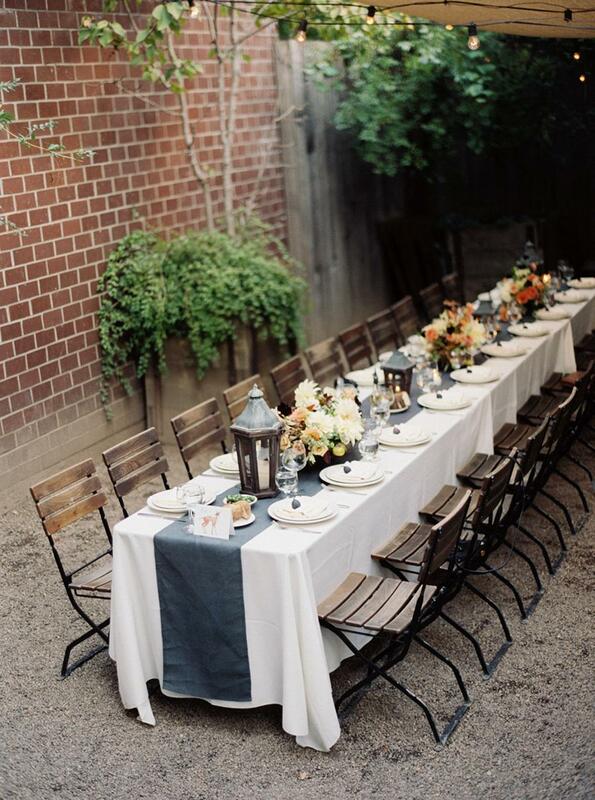 Feeling a small gathering for a birthday celebration or big brunch bash? 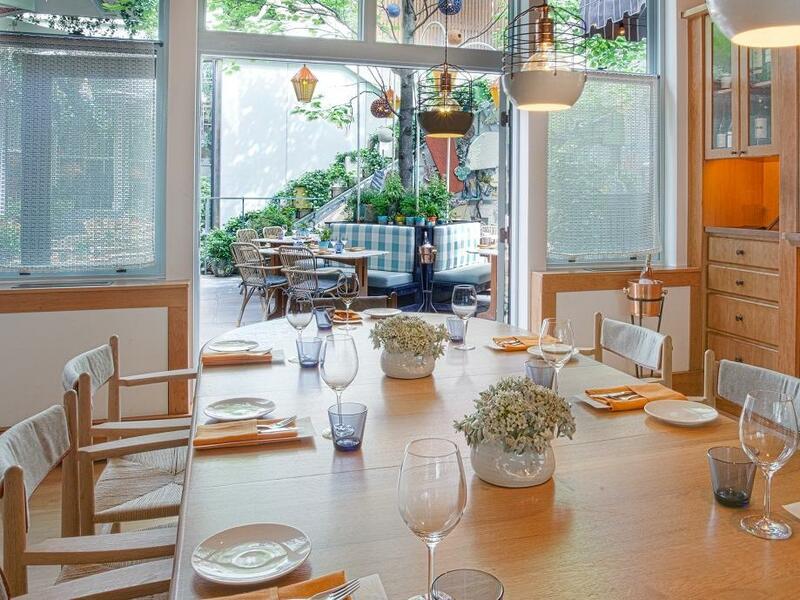 Check out the Garden Room at Elizabeth Street’s Musket Room. The space here is warm, cozy and looks out onto the lush, private gardens. Treat your buddies to a cooking class with some of NYC’s top chefs at The Kitchen Table before sitting down to share a meal. This cool, industrial space is tucked away in a Mulberry Street loft building that’s over a century old and has the beautiful bones to prove it. The Wythe Hotel is such a hotspot you’ve surely visited its rooftop bar, stayed in one of its luxurious suites or stopped in for a glass of wine. But did you know there’s a whole private space at Reynard? 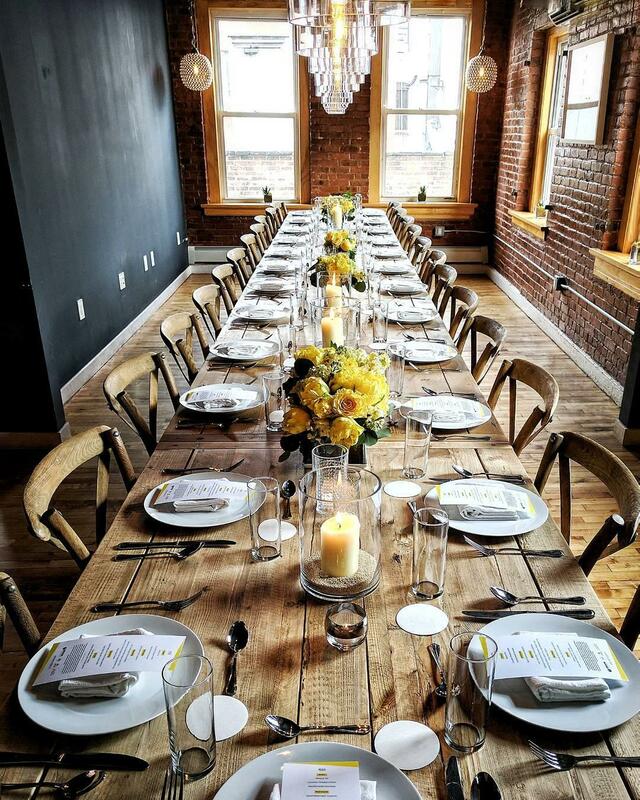 You can book this sunshine-filled industrial spot for up to 26 guests for any meal of the day. 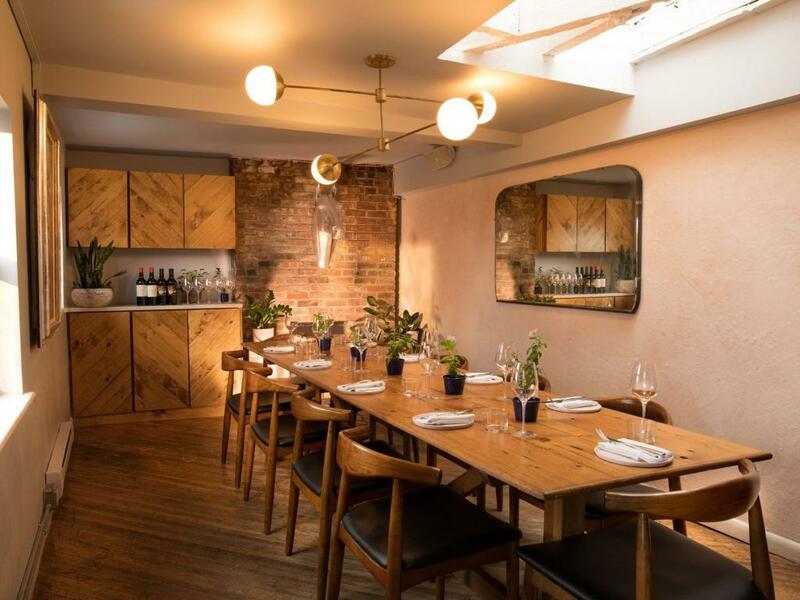 A dozen seats, a private bar and easy access to the gardens make this stunning private dining space a total East Village gem. You can book it out for any time of day, but we’d probably go with brunch, when crab soft scrambles and French toast bites adorn the tables and bellinis flow like water. 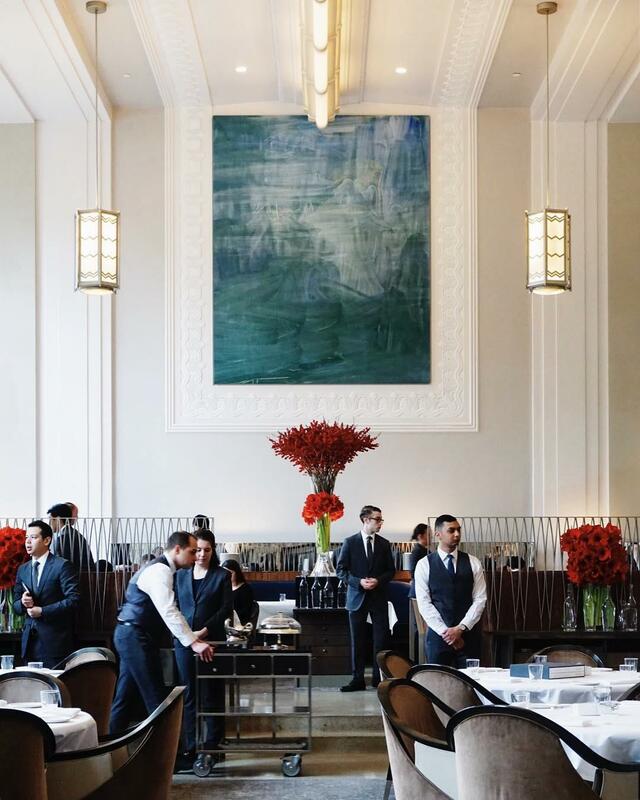 With more awards than we have time to count, Eleven Madison Park has consistently hit the mark as one of New York’s best restaurants. The space is gorgeous, the food is divine and group dining is available in three exclusive spaces. Celebrate your next big bash with your besties in your very own bar, mezzanine or private dining space at Marta. Here, you’ll dine on wood-fired pizzas and panzanella salads while tossing back bottles of bubbly rosé or pitchers of your favorite brew. 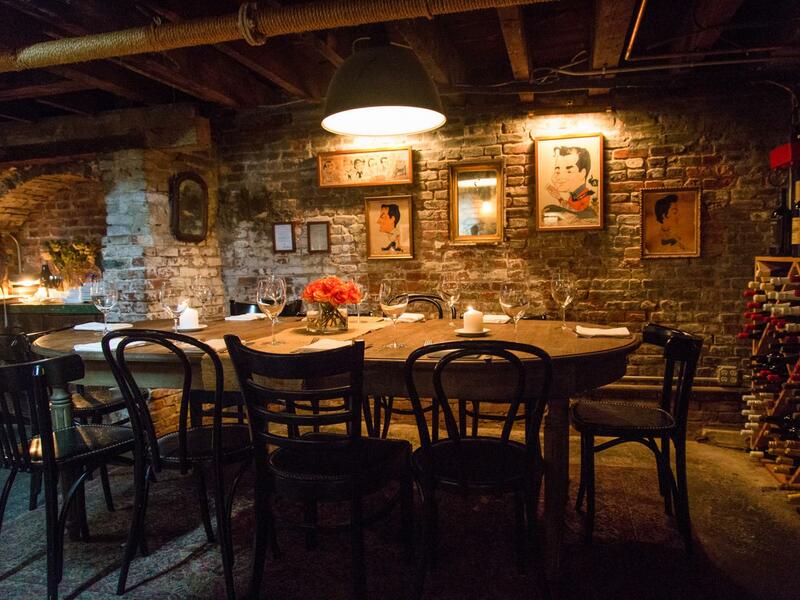 Dine on family-style eats and paired wines in the secret private dining space at Soho favorite, Charlie Bird. This 14-seater room will have your VIP crew surrounded by exposed brick walls, tons of candlelight and really good vibes while tossing back market-driven, organic Italian eats. 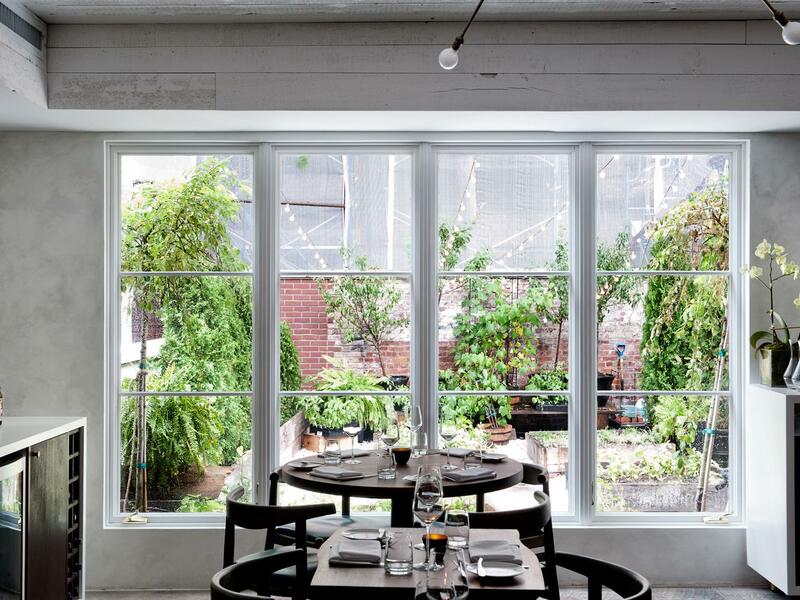 The inspiration behind this Bowery space is simply too good not to share with you. 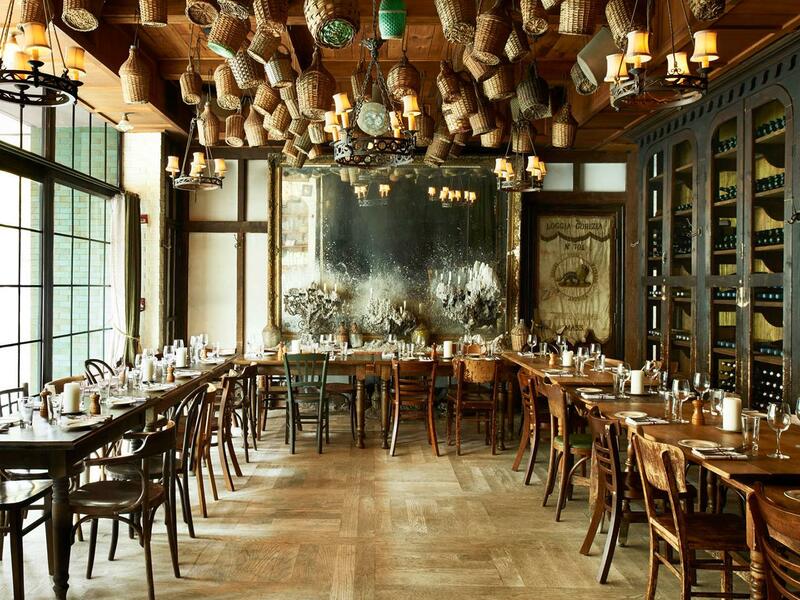 “A rugged clandestine colonial American Tavern,” Freemans Restaurant serves up rustic, simple American fare in a space that’s decorated with taxidermy and antique oil paintings. 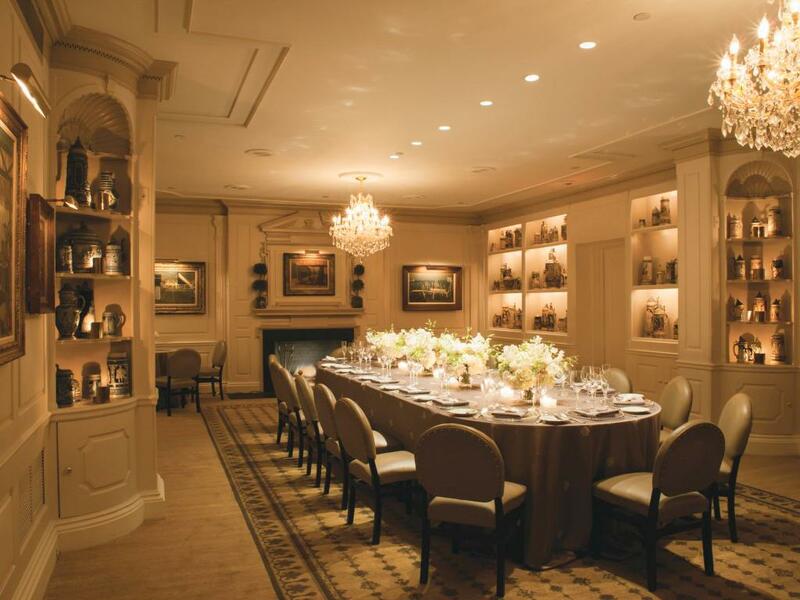 As for private dining, you can take over a small private dining hall, a wine cellar space, book the whole second floor, or splurge with a buyout of the entire restaurant. Wine bottles decorate the walls while wicker wine jugs dangle from the ceiling of this Italian trattoria’s wine cellar space. 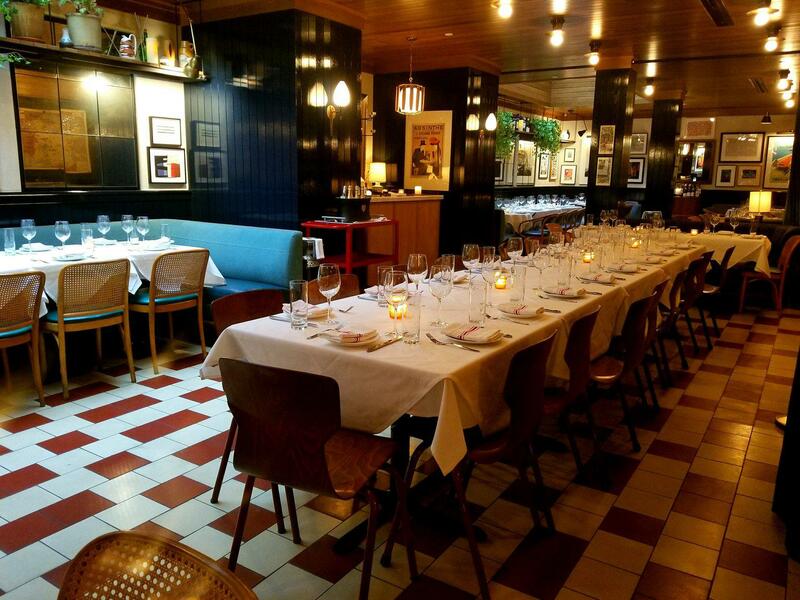 Located inside the Bowery Hotel, Gemma Wine Room seats up to 45 guests in a room that harkens back to the New York of yesteryear. This hundred-year-old wooden schooner sits docked at Pier 6 in Brooklyn Bridge Park. Climb aboard with 12 of your best friends and take a seat at the Captain’s Table to dine on freshly shucked oysters, lobster rolls, softshell crab po’boys and seared scallops. 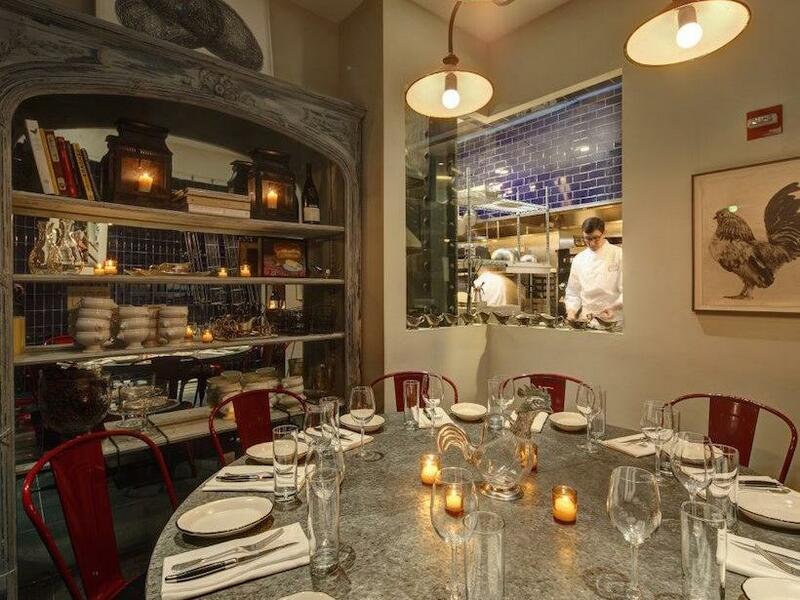 This upscale trattoria sits just above Ninth Avenue in Chelsea, inside the Maritime Hotel. As far as private events go, you can take over the sprawling patio, a glass-ceilinged cabana, or your very own dining room. Trying to impress your crew? 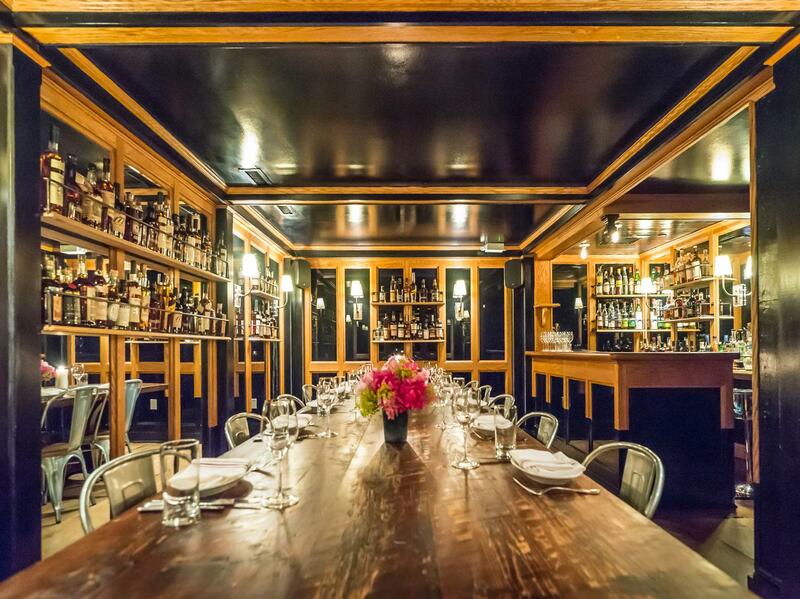 A casual dinner at Upland’s private dining space should do the trick. Order a few bottles of cab for the table, share a bunch of pizzas and pastas family-style, and pick up the check while everyone’s diving into the cookie basket. 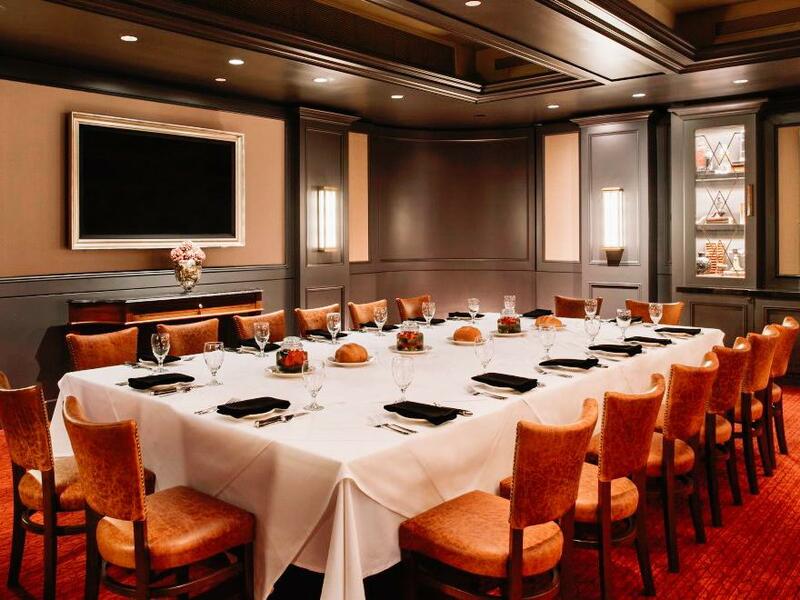 Located inside the Omni Berkshire in Midtown, Bob’s Steak and Chop House is an easy go-to for steak and wine centric events. The brand, originally from Dallas, offers top-notch meats served in a moody, warm setting with a couple of private dining rooms you can takeover. Gather with ten to twenty of your dearest folks at this Sullivan Street restaurant, bar and oyster room for a night of pure revelry. The Dutch serves Americana fare in a space that’s cozy and easy to spend a few hours grazing, cocktail sipping and catching up with your best. 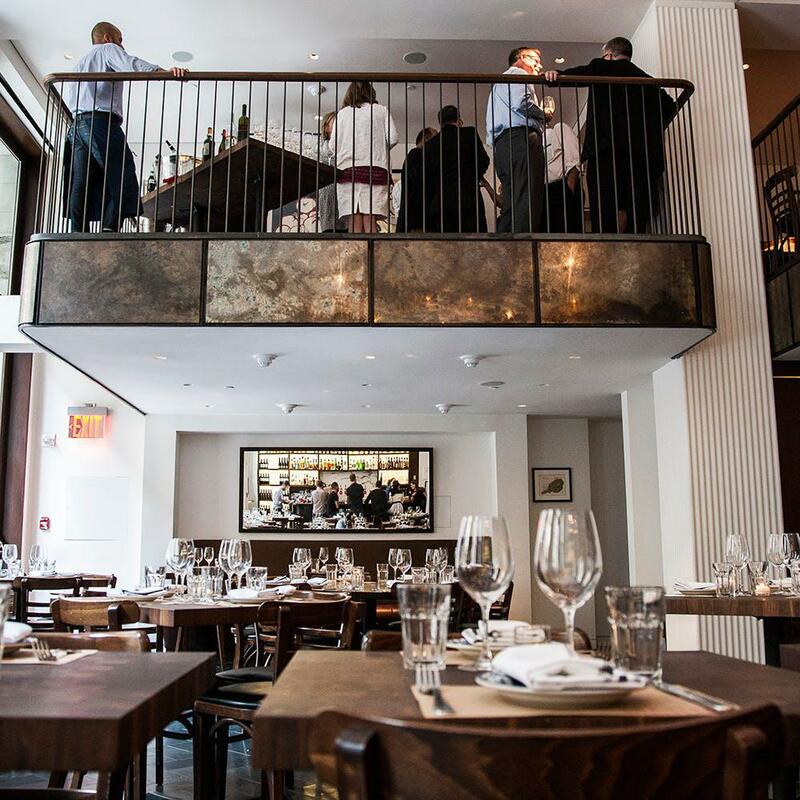 If you haven’t heard of this all-occasion bistro on Lexington Avenue, it’s time to get familiar. 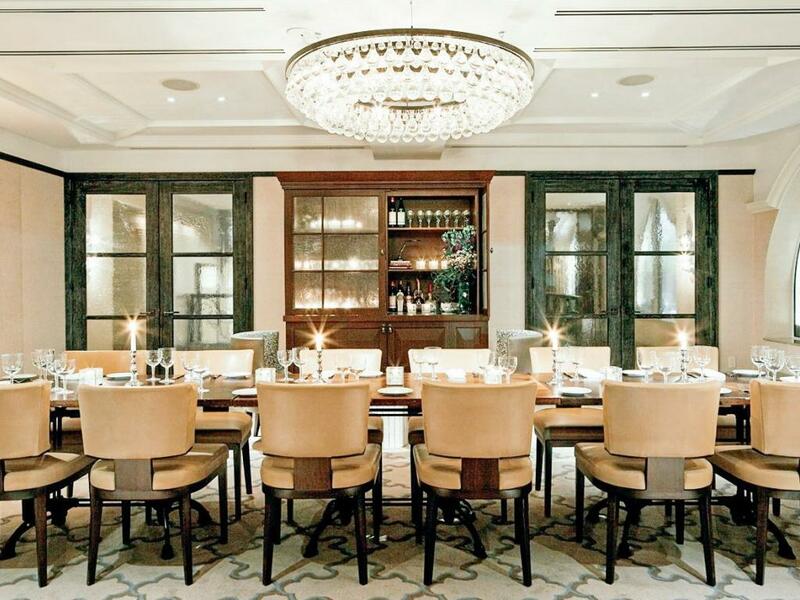 The National is set inside The Benjamin Hotel and complements its elegant setting with private dining spaces that are accessible from a bronze spiral staircase. Wander up and you’ll find a grand café that feels like you could just as easily be in Paris or Milan. 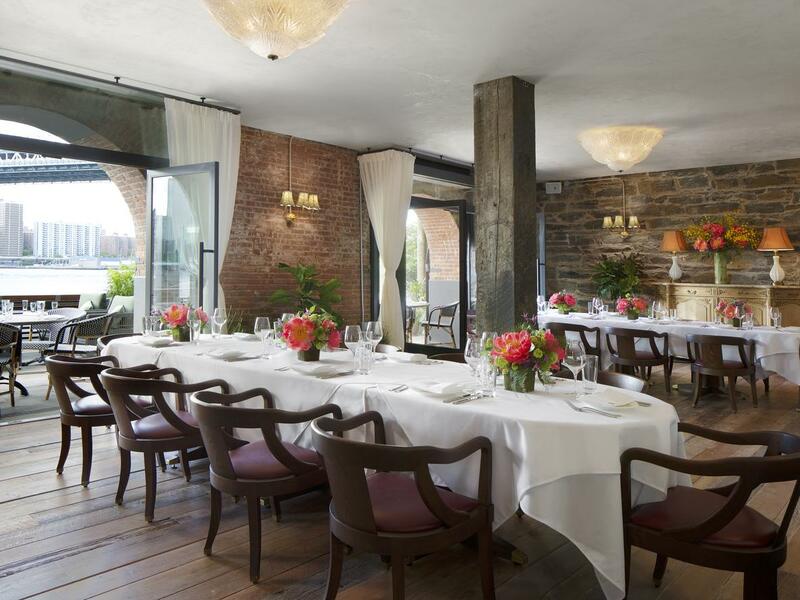 Set right along Dumbo’s Water Street, this upscale dining space looks right out across the East River to the Manhattan skyline. 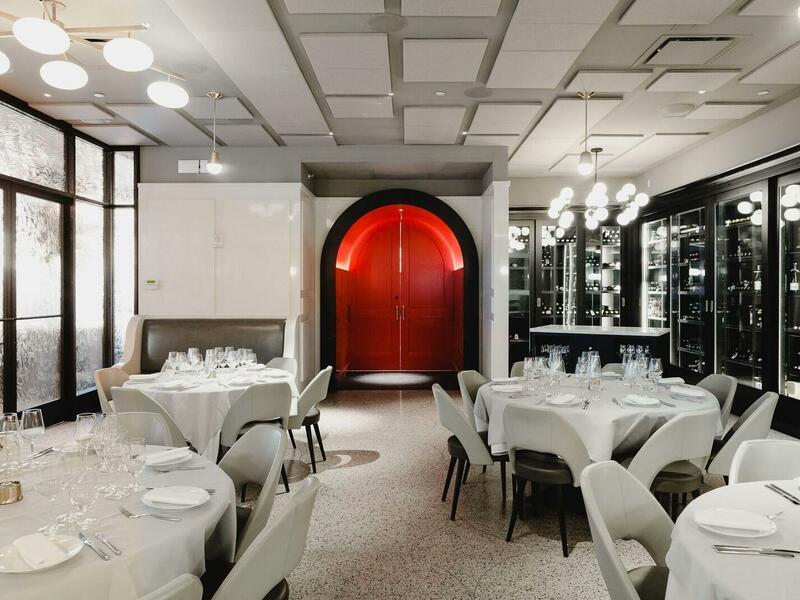 Private dining at Cecconi’s includes handmade pastas, charcoal grilled meats and delicious carpaccio served in a 40-seater space that’s simply bellissima. 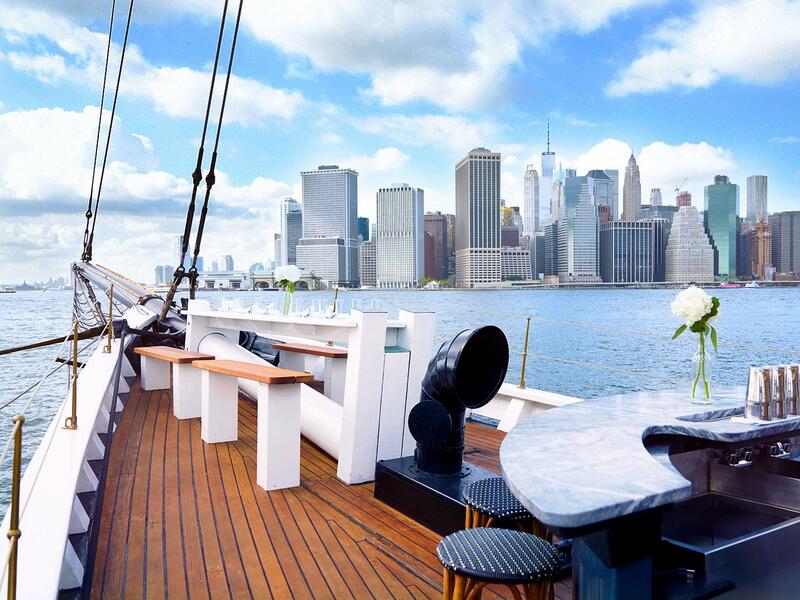 There are six Seamore’s locations in NYC, but the Dumbo spot in Brooklyn is our favorite for private parties. You can book out your own space here and hook up your friends with a low country shrimp boil, Hamptons clambake or a whole lotta fish tacos. Your party crew can get interactive with the Chefs Club residency program and take a private cooking demonstration in the studio space. This 24-seater can be used any which way you’d like, from a demo to a multi-course meal with wine aplenty. Sip well-crafted cocktails on the outdoor rooftop before heading inside for an unforgettable private dining experience at The NoMad. Dinner might include suckling pig, whole-roasted chicken, dry-aged duck or roasted branzino, complemented by your pick of a bottle from the 98-page wine list. 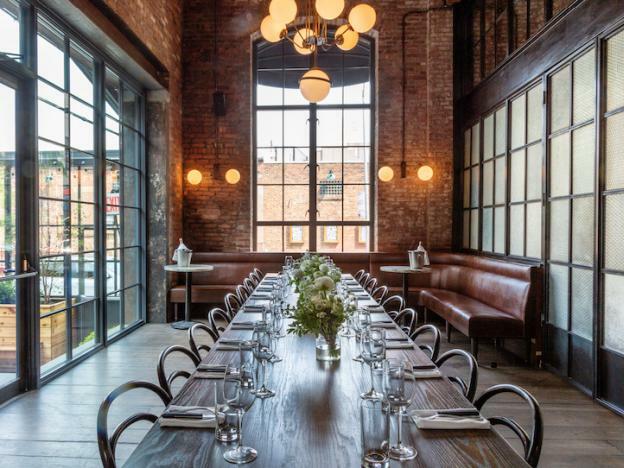 This Wythe Street hotspot offers private dining options aplenty. Check out the third floor dining room, the covered terrace garden space, the plant-filled sun room, or inquire about a full buyout of the neighborhood and market centric restaurant. 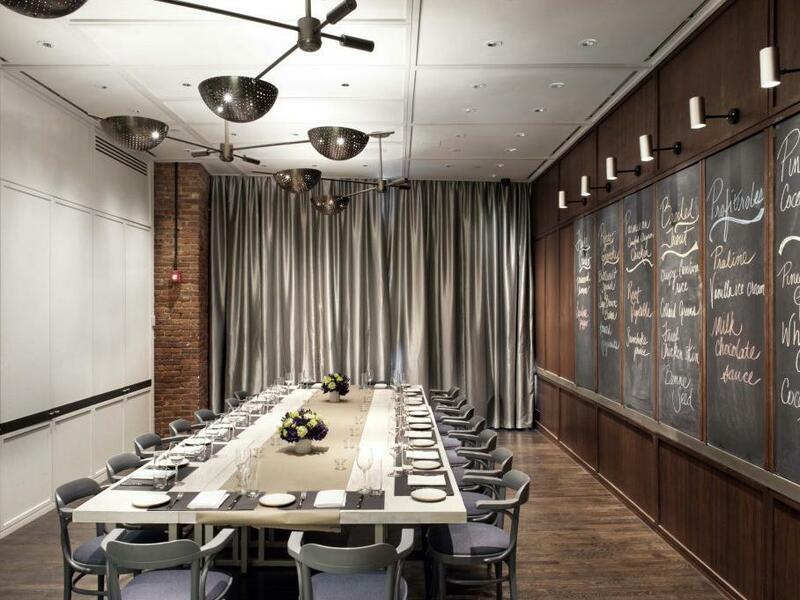 Choose from one of ten private dining spaces at Midtown’s 21 Club. Time-honored and true to its Prohibition Era roots, a walk through this townhouse with a sazerac in hand is like a walk through time. Soak up the history, the stories and the glamor you’ll feel being part of such a scene, if only for a night. 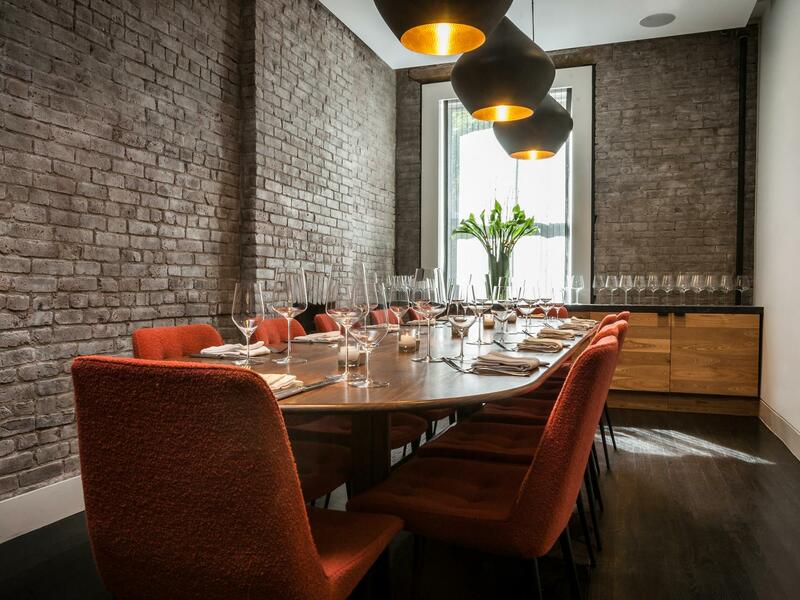 There are four private dining options at Saxon + Parole, including a red-hot lounge space and a neatly polished wine cellar filled with leather banquette seating. A hangout session here can be as formal as you’d like or have more of a low-key atmosphere. Gramercy Tavern almost needs no introduction, as this Danny Meyer restaurant has been a prized gem of the NYC food scene since 1994 and boasts a solid nine James Beard Awards. The elegantly designed private dining space seats up to 22 guests at one stately table, under a wood-beamed ceiling and glowing chandelier. Soho’s latest great French bistro is filled with character and the kind of ambience Francophiles go wild for. 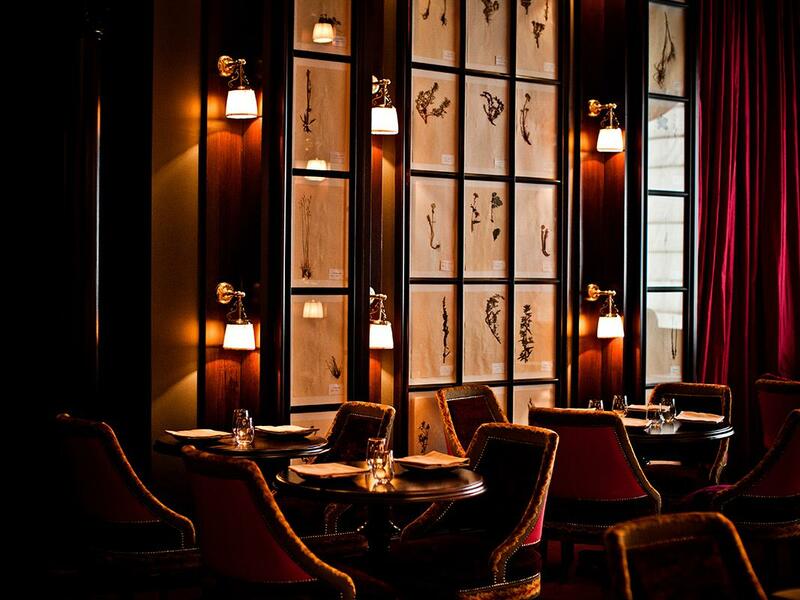 Equally exciting is the menu of traditional escargots, steak frites and Bordeaux. 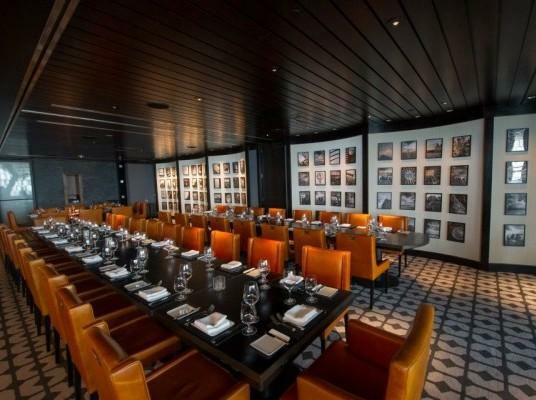 For a group dining experience, check out the 18-seater table or opt for a full restaurant buyout. 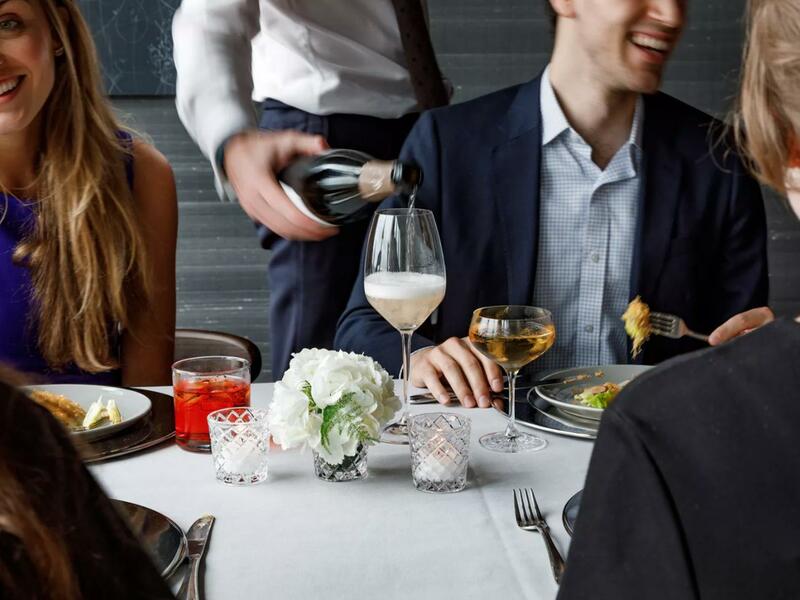 The Lambs Club might just be the Theater District’s best-kept secret. This elegant eatery was once members-only, but now you can throw a party here that’ll have all your guests guessing how you found such a classic New York venue in the heart of Times Square. 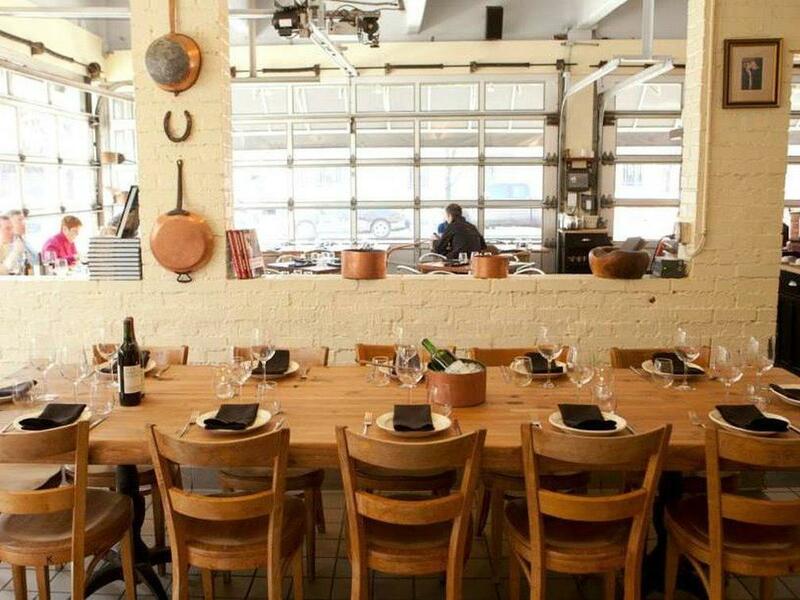 Roll-up garage doors open up to a space that’s warm, relaxing and filled with the fragrances of rustic, Italian fare at Barbuto. 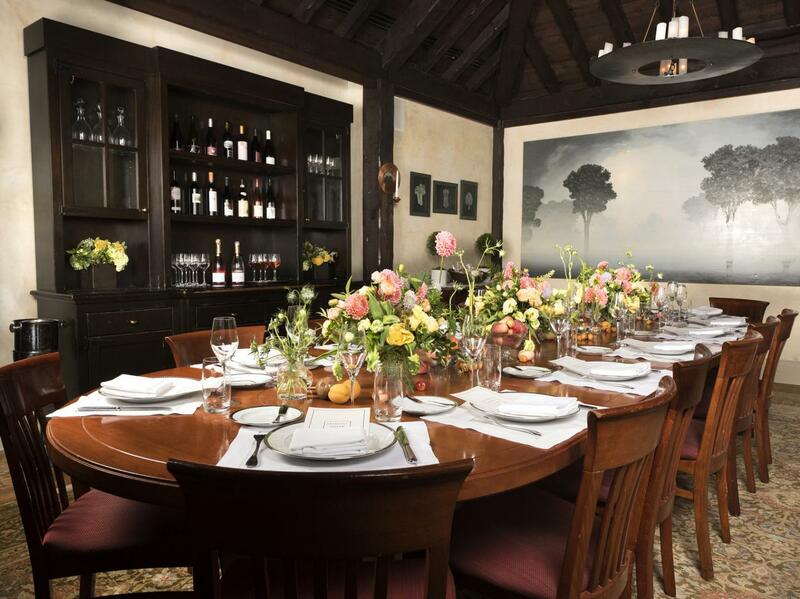 Settle into the semi-private dining room or the chef’s table and let celeb chef Jonathan Waxman and his team do all the work at this dinner party. 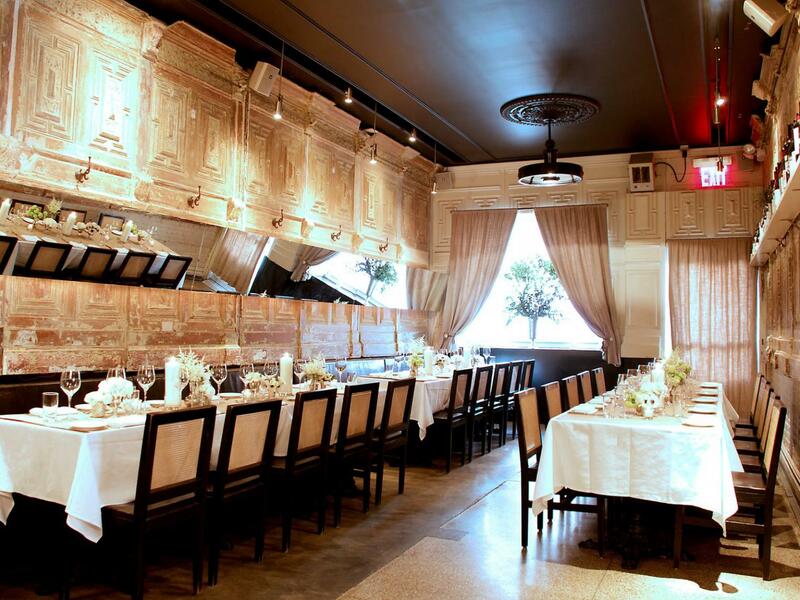 Check out the Chef’s table at Georgette if you’re rolling with a crew of about ten people and looking to enjoy an extravagant, delicious dinner. Whole roasted suckling pig, chickens, salmon or leg of lamb are all on the menu, complemented by lengthy list of wines, cocktails and sangrias. 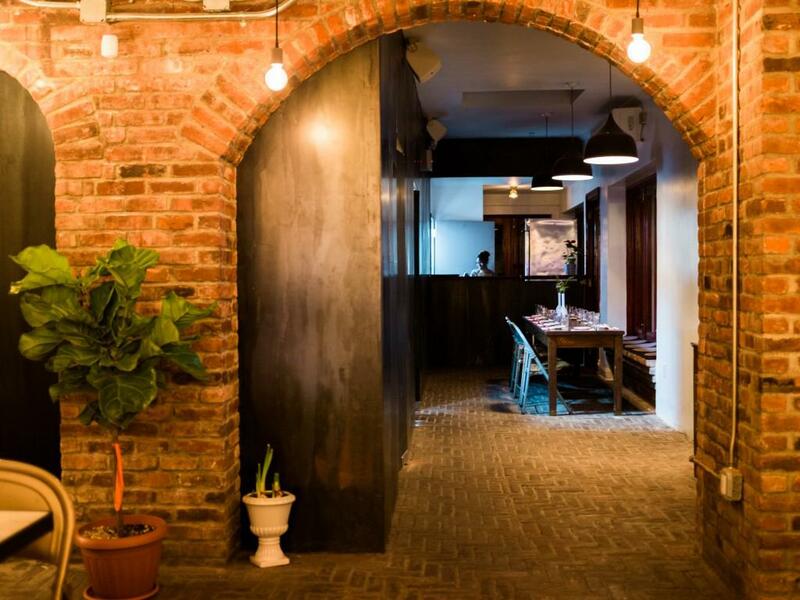 While Málà Project doesn’t do exclusive dining space, you can certainly book in for a spicy, interactive meal with a crew and take over this East Village Sichuan dry pot spot. What’s in store for you and your dining buddies is a meal that surprises with spices, flavors and meats that range from frog to tongue to kidney to heart. If your crew consider themselves adventurous eaters, this is the place to go. 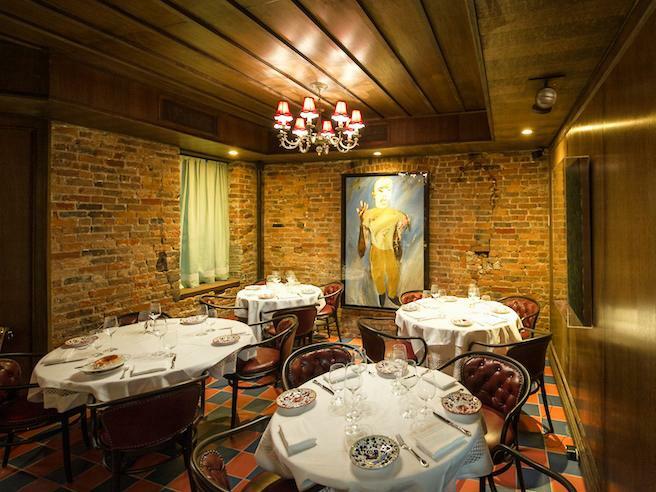 Old world nostalgia reigns supreme at Italian-American tribute restaurant, Carbone. The food is classic, familiar and rich, and the space is built to match. Private dining rooms are strewn throughout the restaurant, so you and your "associates" can have your very own hush-hush conversations behind closed doors. New York is home to more steakhouses than we can count, but this one is iconic with its old-school prestige and sleek Art Deco finishes. Head to American Cut if you’re looking to book a private event in a space that wows with leather banquettes and your very own dedicated bar. 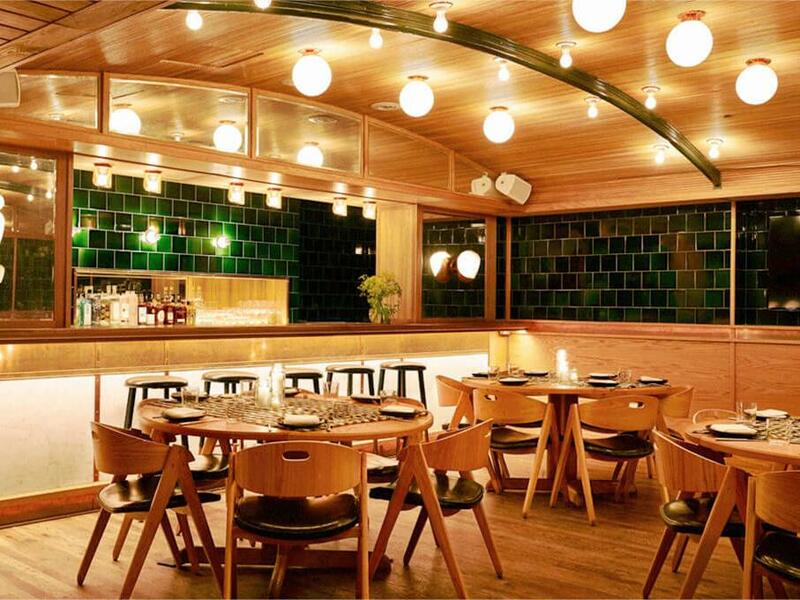 With black leather banquette seating, exposed brick walls and an eclectic art collection, Fedora has a real NY speakeasy vibe with the craft cocktails to match. 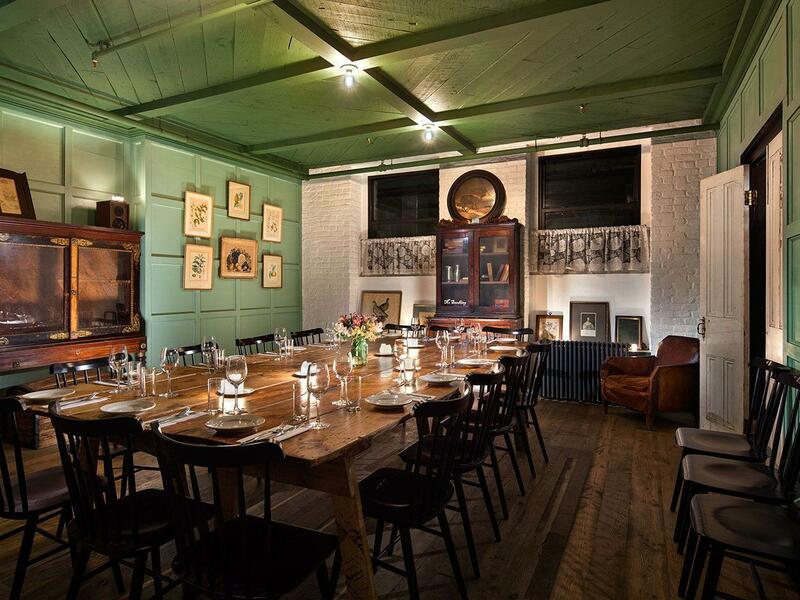 There’s a hidden room downstairs that’s fit for a dinner party of about a dozen of your tribe.